: Apr 6, 2019 to ? Synopsis : The setting is Taisho era Japan. 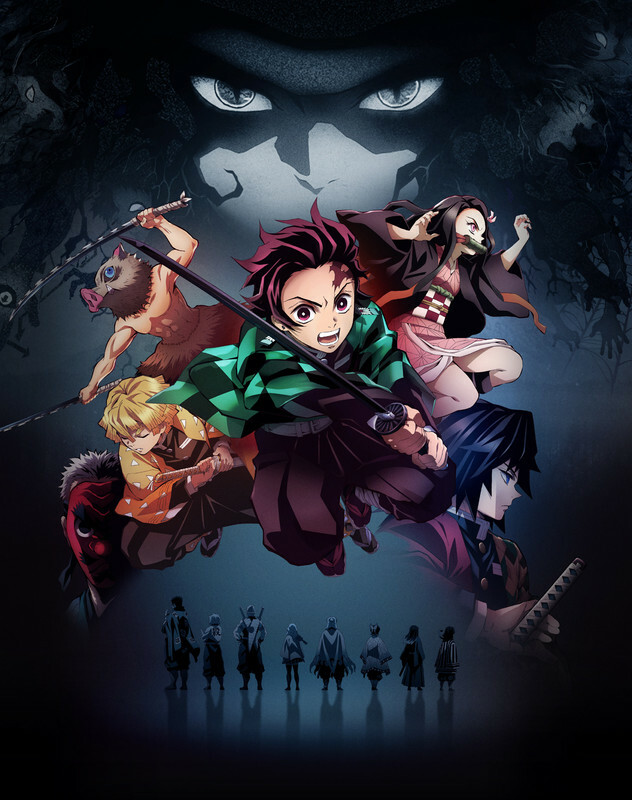 Tanjirou is a kindhearted young boy who lived peacefully with his family as a coal seller. Their normal life changes completely when his family is slaughtered by demons. The only other survivor, Tanjirou's younger sister Nezuko, has become a ferocious demon. In order to return Nezuko to normal and get revenge on the demon that killed their family, the two of them depart on a journey. From a young talent, an adventure tale of blood and swords begins!